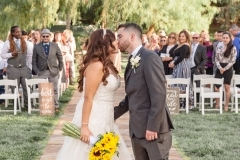 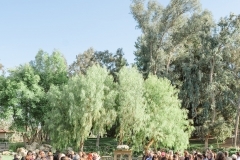 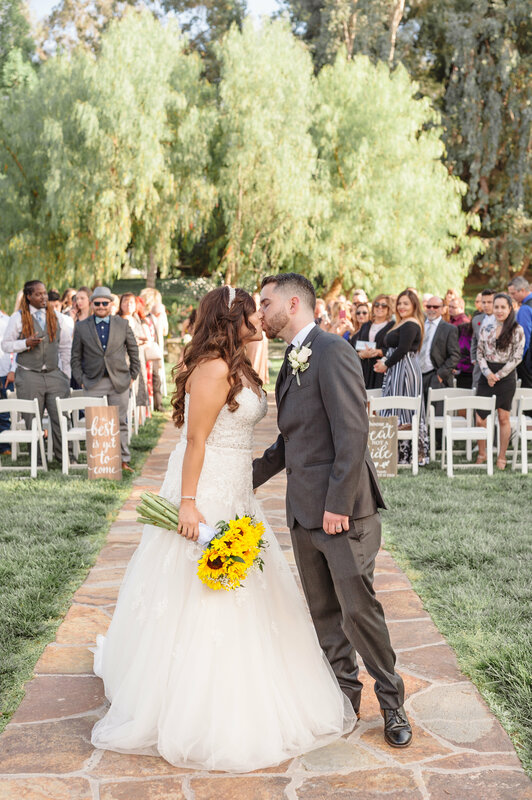 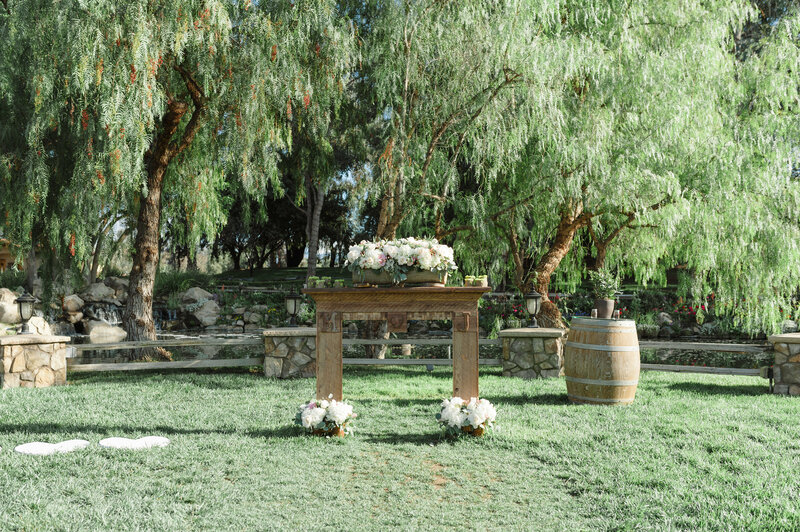 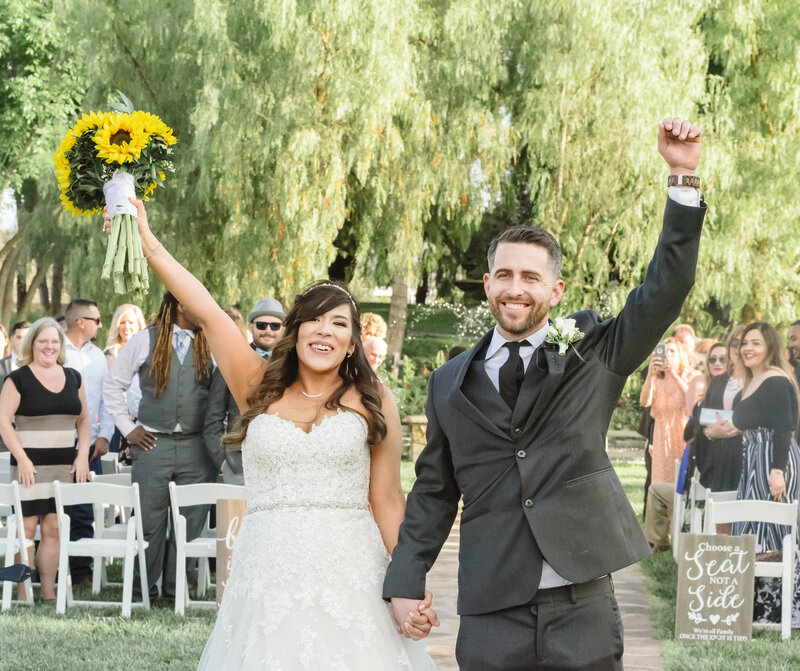 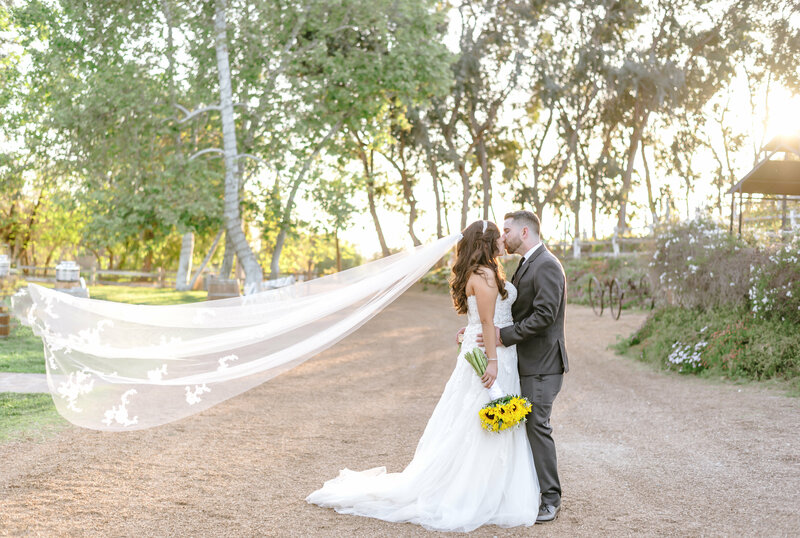 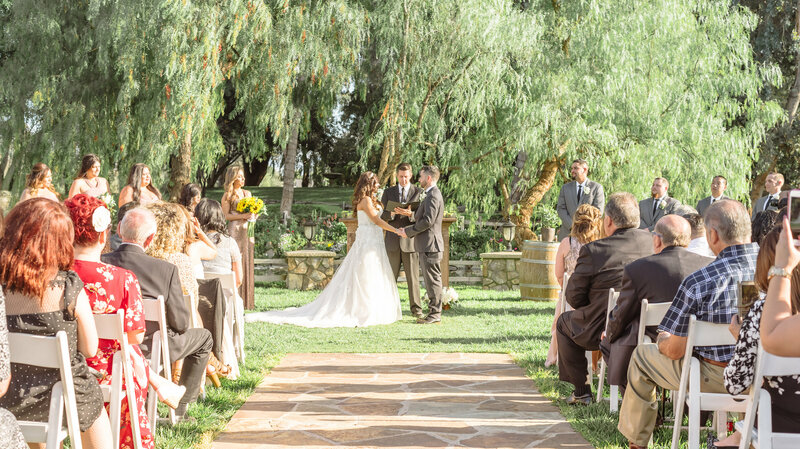 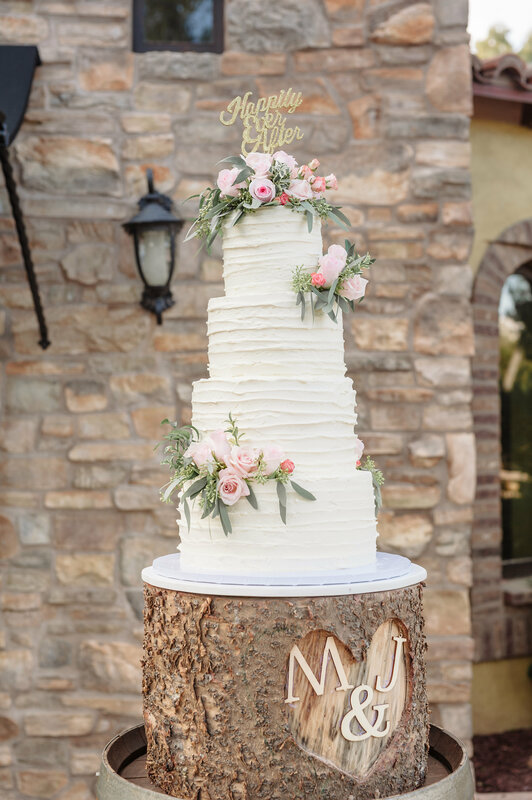 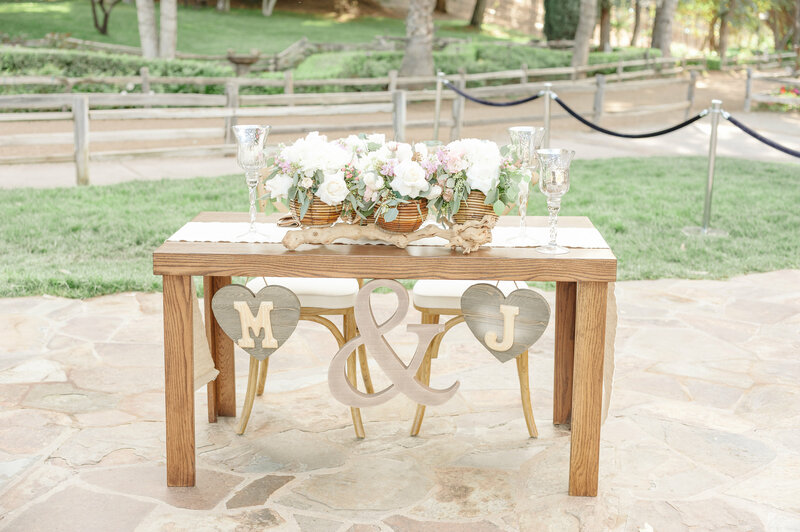 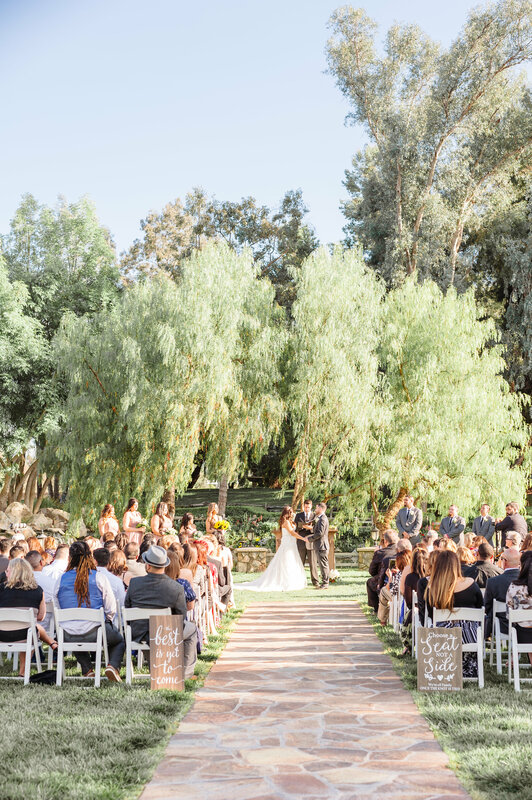 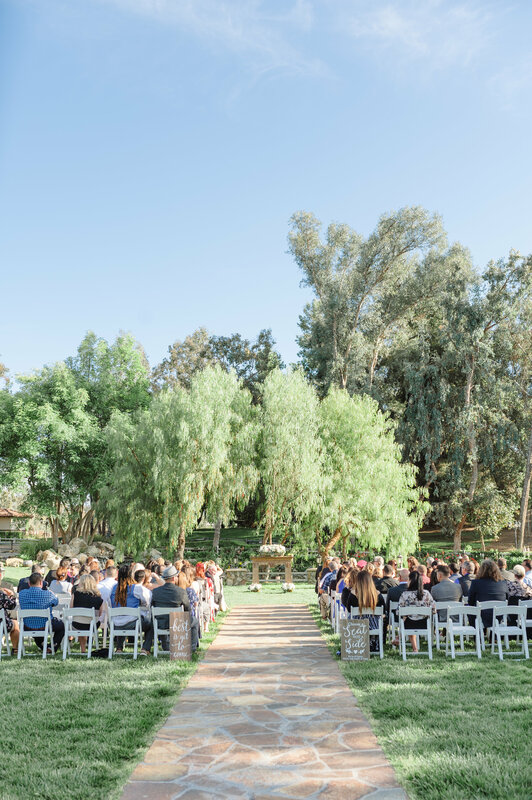 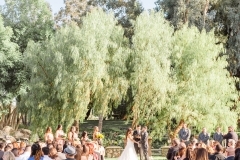 Jessica and Marcus got married at the beautiful Lake Oak Meadows in Temecula, California on a warm Spring day. 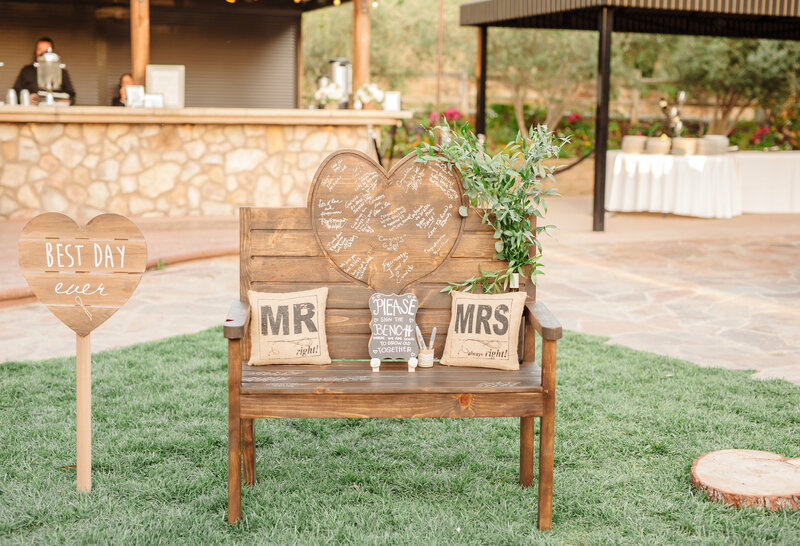 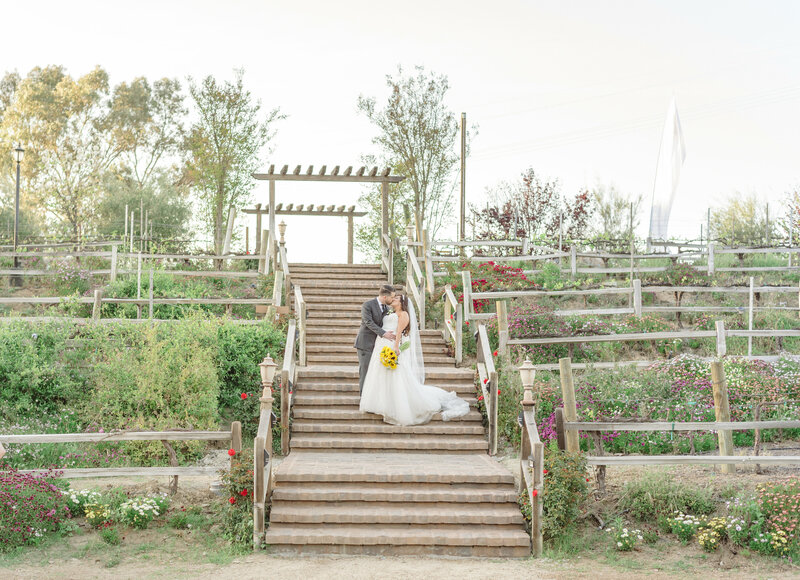 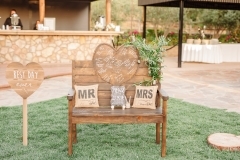 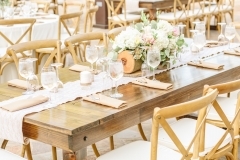 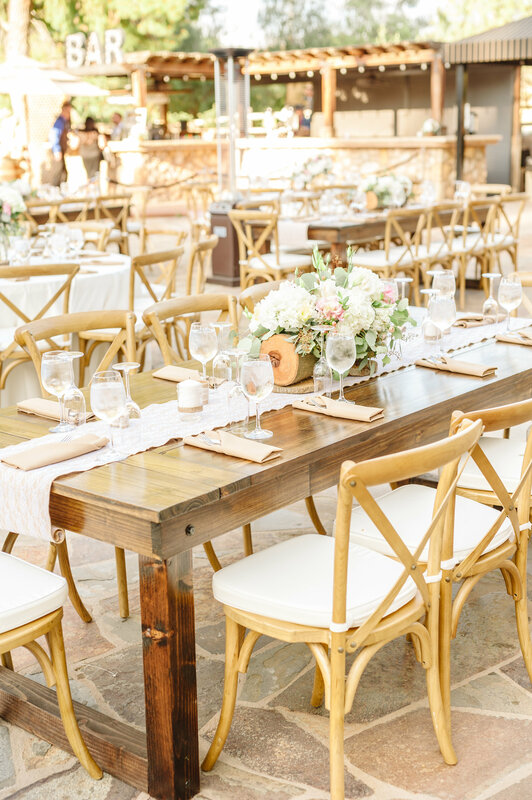 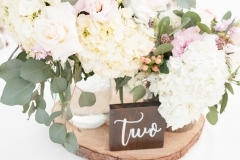 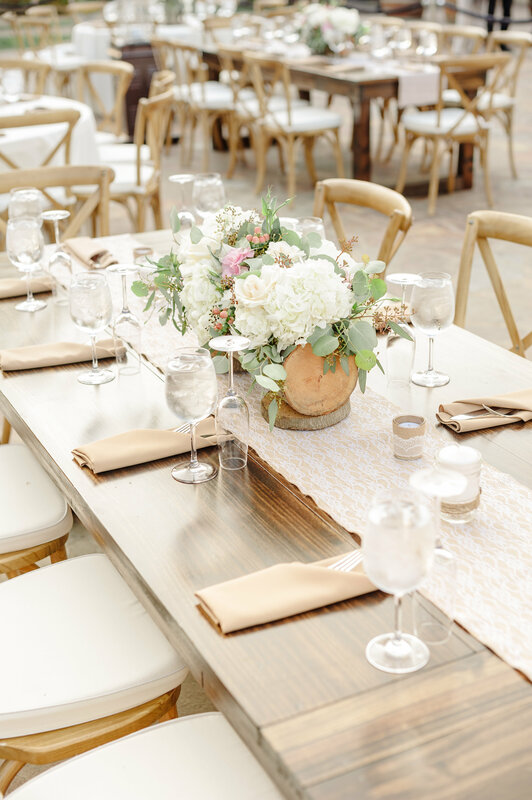 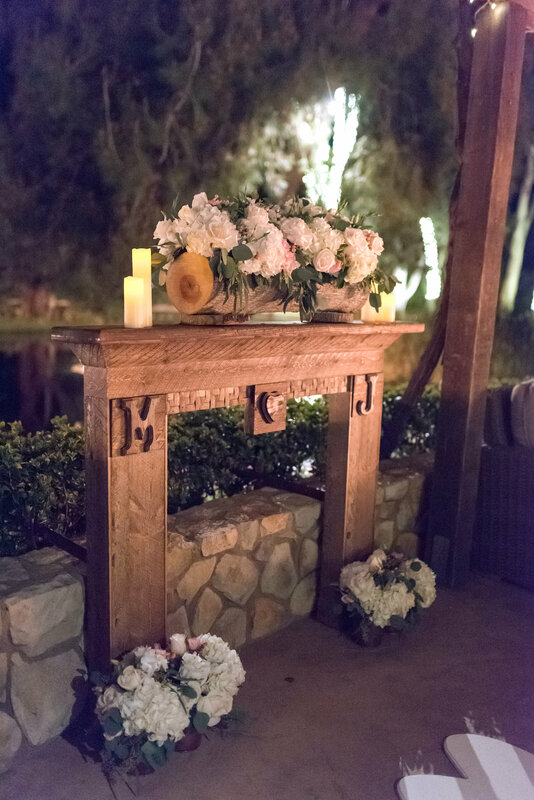 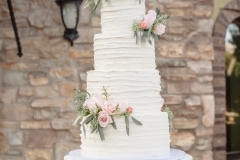 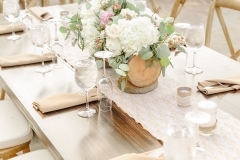 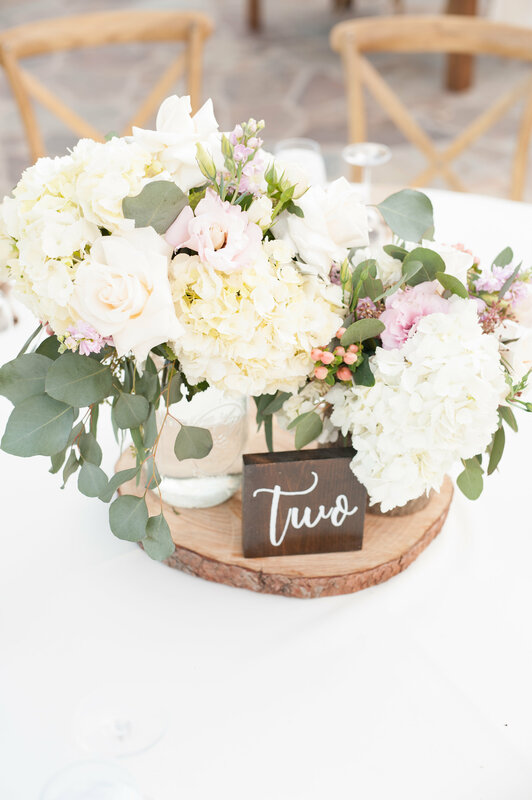 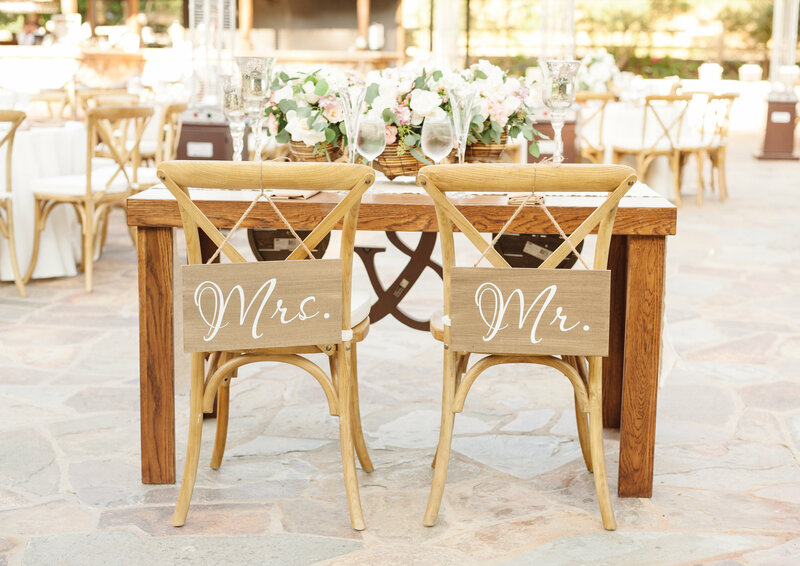 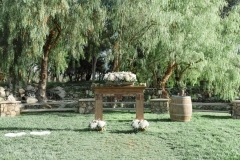 The venue boasts an amazing combination of both rustic and classic elegance. 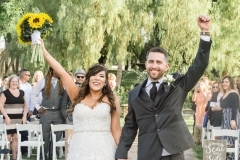 The couple’s ceremony was on a lawn overlooking the water and Jessica and her father walked down a long staircase for her grand entrance. 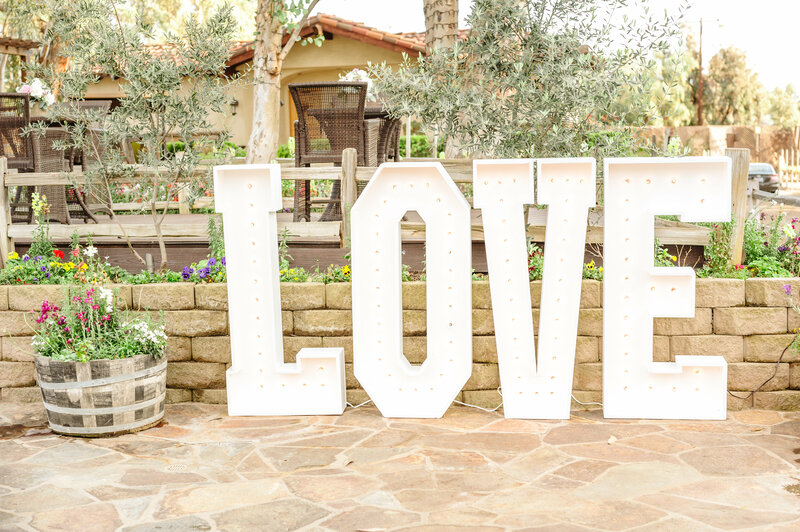 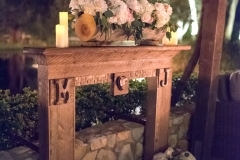 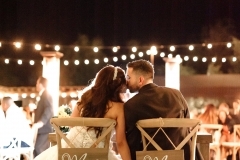 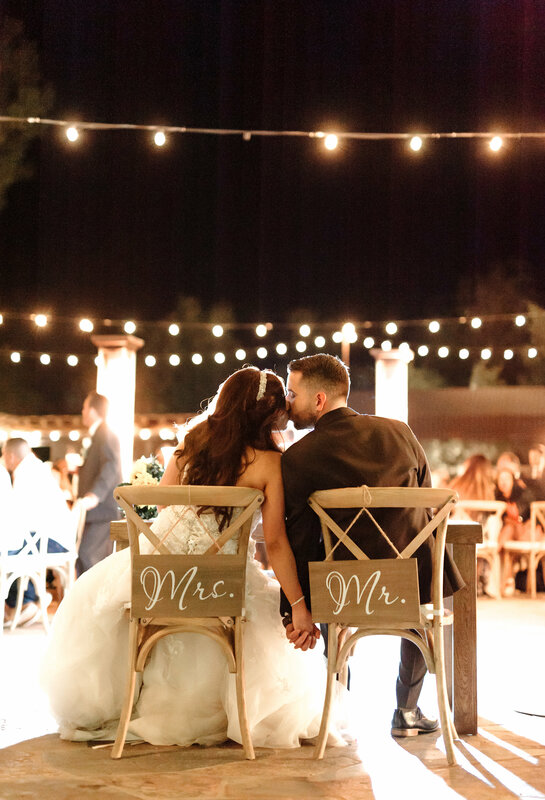 Their family and friends enjoyed a rustic outdoor reception under the stars and marquee lights. 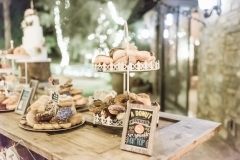 The night concluded with a delicious donut bar!